Can be used with most double sized hammocks with spreader bars. Easy to assemble. 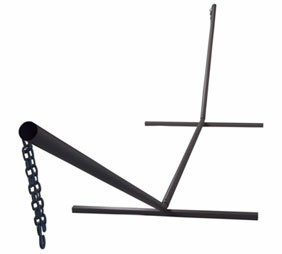 Powder coated metal stand, comes with 2 chain links and 2 off-set hooks. Can be assembled by a single adult in less than 3 minutes.